In days the Cabinet could endorse the government’s ‘Jokepal’ bill. We need an urgent game changer and there is one person who has the power to make Jan Lokpal a reality: Sonia Gandhi. 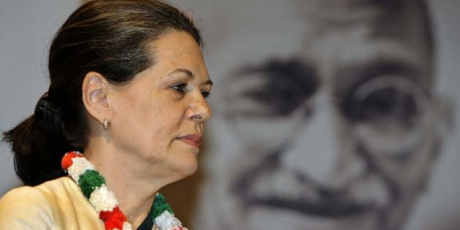 It was Sonia Gandhi’s personal intervention in April that helped stop Anna Hazare’s fast and get civil society onto the Bill’s drafting Committee. If we appeal to her directly with thousands of personal examples of how corruption is poisoning India — we could move her to use her influence, and save this unique opportunity to tackle corruption at all levels. Sonia has proved she cares before — as Anna Hazare’s fast slowly weakened his body and the government looked away, she stepped in. And we know she has the power and influence to intervene once more — she leads the National Advisory Council, which only weeks ago forced the government to include vital and humane protections for ordinary people in its draft Land Acquisition Bill. Sonia knows about elite corruption as well as we do, but she need a mandate from us to act. An appeal to her directly, with thousands of stories of our daily experiences of the corruption that this bill intends to stop, is our best best chance of moving her to take up this cause. The Jan Lokpal is truly a once in a lifetime opportunity. It won’t prevent every instance of corruption — but it will improve the lives of millions. Perhaps a policeman won’t force a bribe by threatening phony changes, or an MP won’t vote for a polluting scheme because the company paid him to. Now, as the impasse between the people of India and the government deepens, let’s inspire Sonia into action and save the bill. Ricken, Saloni, Shibayan, Alice and the whole Avaaz team.